Textile designer by trade, doll customizer by passion, Natt has been creating the cutest oriental dolls, as he calls them. 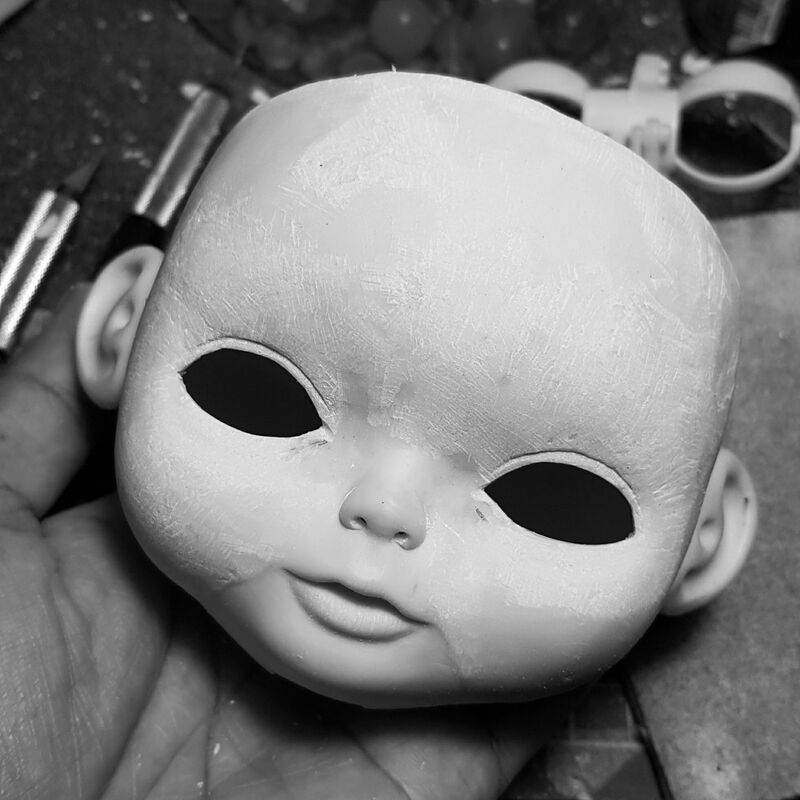 Starting with a Blythe faceplate and epoxy molding material, he builds up child-like expressions into his dolls with amazing detail and variety. I always believed that if you do all things with love it will result in a good job and that can convey love to those who receive the work. Hi, I am “Natt”. I am 40 years old. 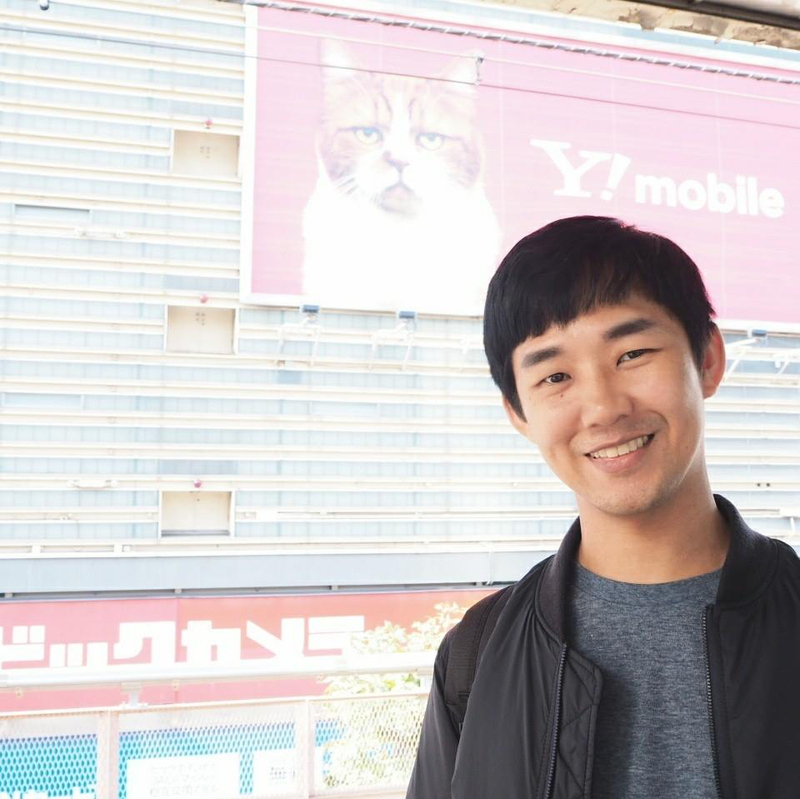 I am Thai but often people misunderstand me as Chinese, Korean, or Japanese because I have a thin and small eye that makes me look like other Asian people. I like art since my childhood and choose to study in the arts as well as a graduate in the field of Textile Design. I like all arts and I have a passion for crafts. I like all that's cute such as dolls. I like doing what I like. I work in clothes, product, and graphic design. I customize dolls as another part of my life. I'm not sure whether to call it a hobby or a routine as it's part of my life, and my favorite job. I never thought of art as a way of making money because I started out doing what I liked and not for the money. I always believed that if you do all things with love it will result in a good job and that can convey love to those who receive the work. It starts with the love. 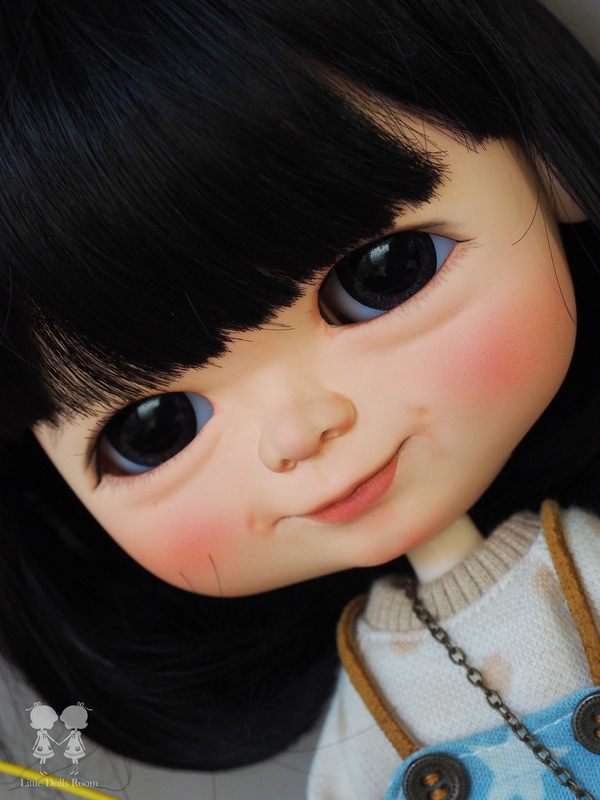 I love Blythe: she is cute, has the ability to change eyes, and I want my Blythe to be uniquely different from others. I want to change the plastic doll, I want to make her alive to look like a child. Everythings started since 2008 and it continues to this day. I spent 9 years searching because I didn't stick to any style. I can be flexible and varied, influenced by the mood of the people I meet or the moment. 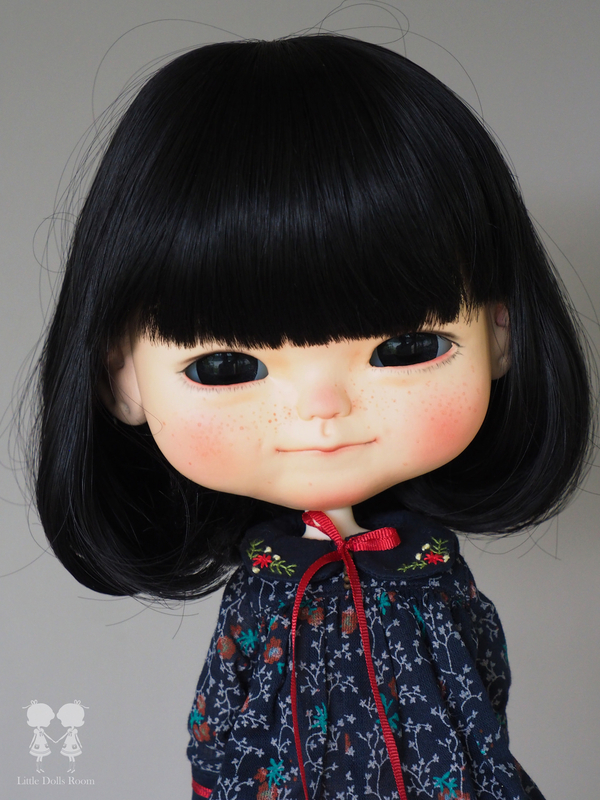 But one thing that never changes is that I'm going to set Blythe's age at 6-8 years old, because in my opinion children aged 6-8 are the most adorable children, and can be easily dressed. Maybe it's because I like dressing up my sister during the age of 6-8. 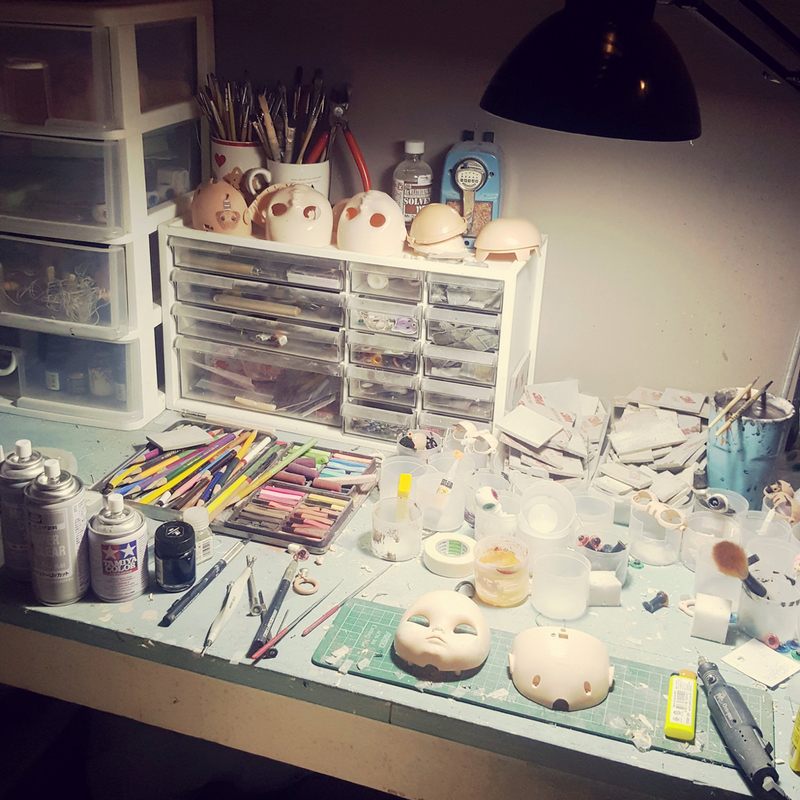 In 2016, I started to make Blythe Boys and in 2017 I made Blythe with thin and smaller eyes using epoxy on Blythe's face and eye socket. I choose my eyes as a model and called them Oriental Doll. 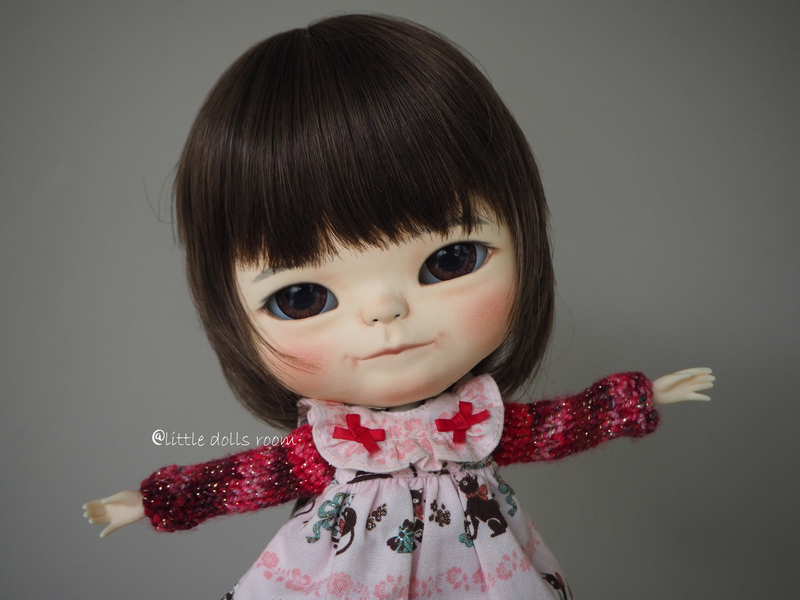 One of the first custom dolls from 2010 (photos of earlier dolls not available). 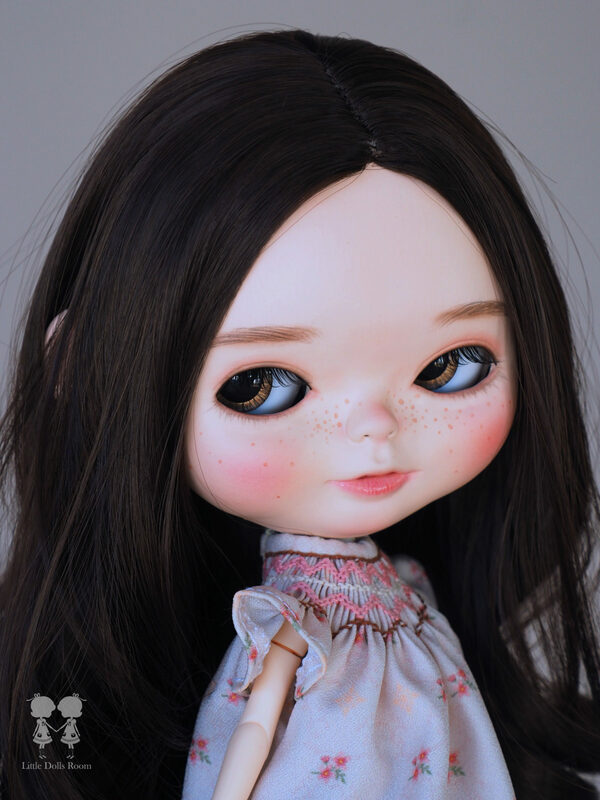 Last custom doll (Jan 2018). 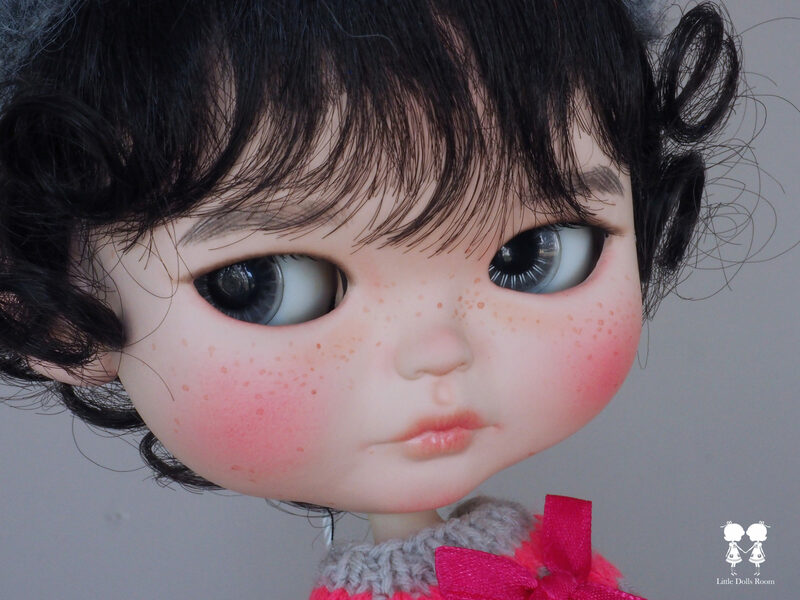 I start by looking for pictures of children to use as inspiration as I want my Blythe dolls to convey emotions that look like they come from real children. After I find the images to be used as inspiration, I'll start sketching to simplify the details of the child's face. If I put all the details on the doll's face, it would look more creepy than lovely. To me, every part of the work is fun: design, carving to match exactly as designed. Sanding may be boring, but it's very important. It helps to make the face look soft and more realistic. Makeup is probably the most fun part for me because it has gone through many other difficult steps. 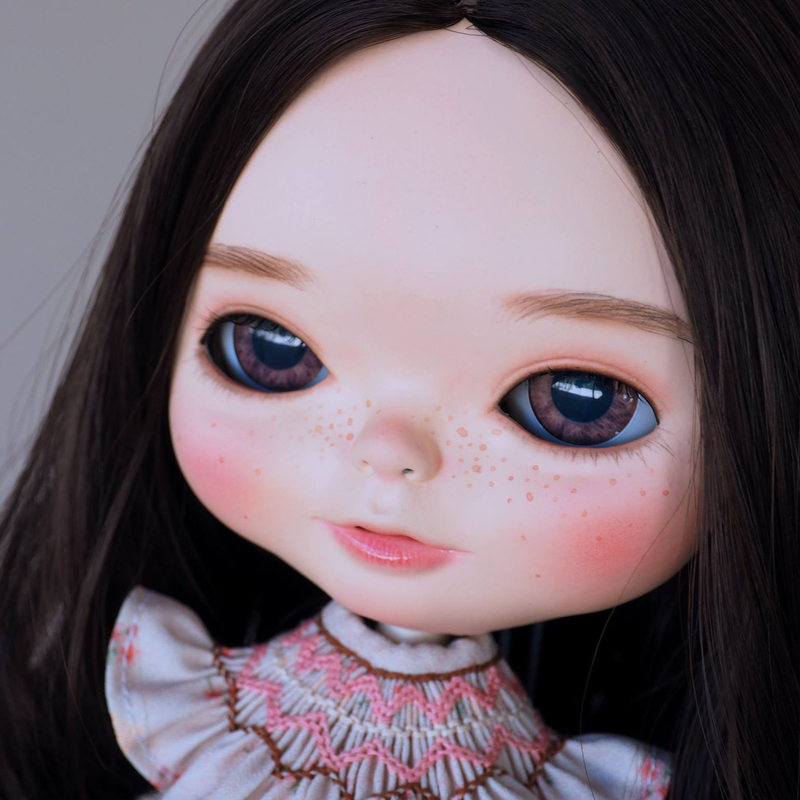 Because I have to work differently, it takes me 7-10 days to complete a regular customization and 2 weeks for a more detailed work on an Oriental Doll. Smooth, realistic, cute and most important – emotional. 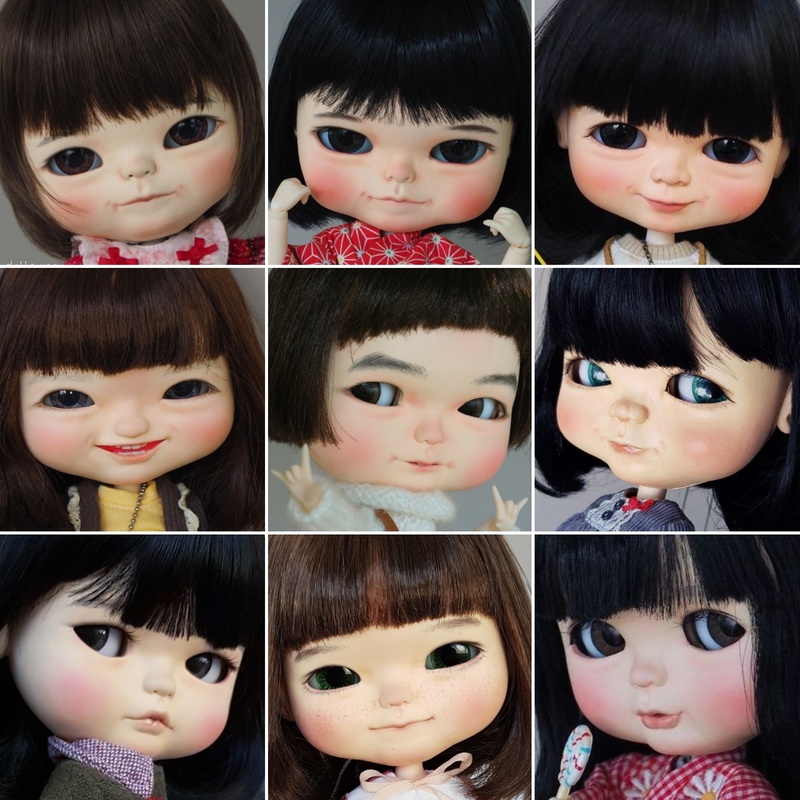 Oriental Dolls created by Natt / Little Dolls Room in 2017. I like to use art knife cutter because it can keep details of work well and used drill for nostril. I love the FBL mold. I fell in love with her cheeks. From the value of work in my thinking. But the price I set is in the same range, except for extra work or hard work. There will be higher prices, but not too high that you can't afford. Don’t be afraid to make mistakes, don’t be afraid to start and don’t be afraid to be different. Find your style by yourself. There are many sources of knowledge to search for advice and information. But experience from others does not matter more than your own experience. If you think it's hard, it's hard, but if you think it's easy, it's easy. Everything is on your mind. Think and act — that's the best. 2018 First Oriental Girl by Little Dolls Room. Natt from Little Dolls Room is an amazing artist. 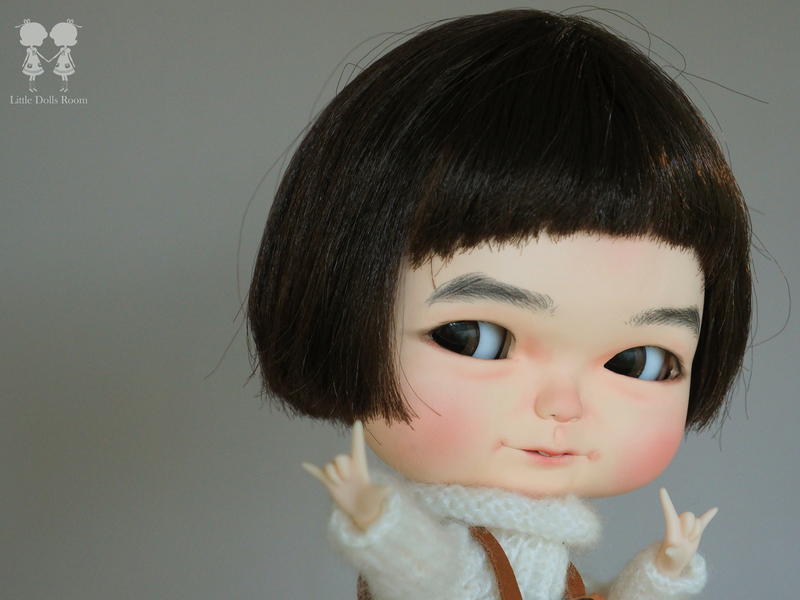 He does wonderful changes to the Blythe faceplate turning it into an oriental version of the doll. The eyesocket changes, the cheeks are fuller and the chin looks shorter. Follow Natt on his social media profile to keep up with his work. All links are available on his profile page.